A broken collarbone from the second worse bike accident I've ever experienced! 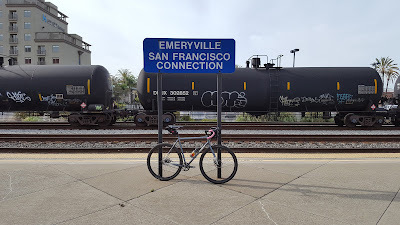 looks like at least four weeks until I'll be back in the saddle, and even then it will have to be a new bike because Muni "lost and found" lost my bike after it had been found. (in my best Will Arnett) "Typical." I guess his is the dark side of cycling in this beautiful city.